Roses are one of the most beautiful and alluring gifts in all of nature, but just like anything else that’s good, there’s always something out there to destroy it. At gardening info, we know most varieties of roses are highly susceptible to fungus, pests and disease, except the Knockout Rose, which was bred to resist disease and pests. With a little work and persistence, you can have delightful roses that are free of bugs, fungus and disease. 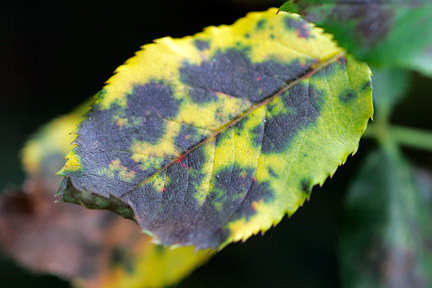 Like the name sounds, Black Spot covers your rose foliage in tiny black spots that grow bigger and bigger. The fungus lives in debris that piles up under your roses, so keep your gardens clean and free of debris. Humidity and wet conditions seem to play a factor as well, so try to only water the ground and not the rose’s foliage. Clean up all debris scattered in your rose beds. Remove all infected foliage and place in a closed container (not out in the yard or in your compost). Use a fungicide like powdered sulfur if the Black Spot persists. After you prune your roses, always disinfect your sheers with rubbing alcohol. 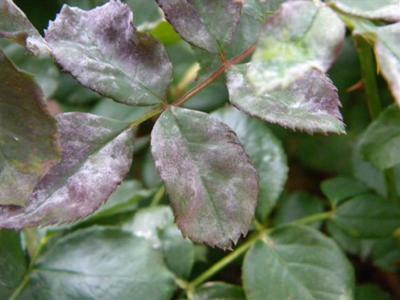 Like Black Spot, Powdery Mildew is caused by a fungus that lives in debris piles under your roses. Powdery Mildew looks like someone came by and threw baby powder all over your roses – except there’s nothing good about it! Remove all infected foliage and place in a closed container. Use a fungicide like powdered sulfur if the problem persists. A homemade remedy is to spray a mixture of 1 teaspoon baking soda, 1/2 teaspoon canola oil and one quart of warm water. Another fungus roses are prone to is Phragmidium, which causes strange orange-red discolorations on the rose leaves that looks like rust. 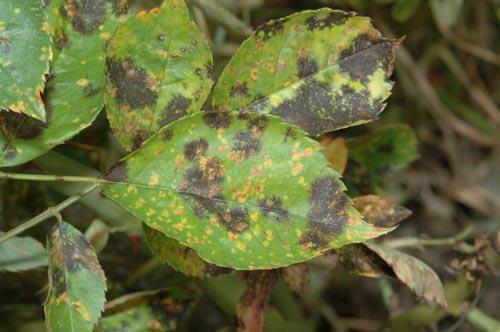 Rose rust usually begins on the bottom and moves to the top. Use a fungicide like powdered sulfur or a homemade baking soda spray if the rust persists. Did you know that grub worms grow up to become Japanese Beetles? 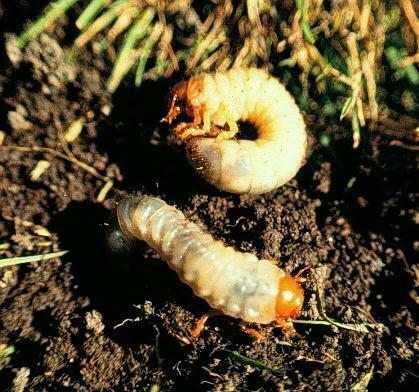 Grub worms live underground, eating grass roots, which can result in large patches of dead grass. 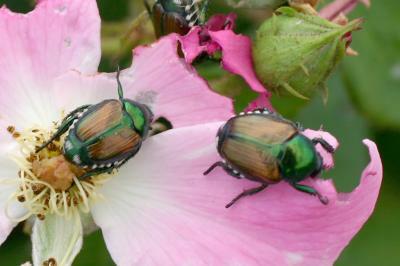 Japanese beetles are characterized by their shiny coppery-green husks and their poor flying ability. They love to munch on rose plants as a group, making huge holes in leaves and then moving onto the next. Your first line of defense is to shake them off and pull them from your roses and drop them into a bucket of soapy water. For bad invasions, spray organic insecticides as needed. To kill them in their larval stage, use milky spore powder on your lawn. Aphids are tiny green bugs that slowly eat small holes in your rose’s foliage. While hard to see, you’ll notice teeny tiny holes that seem to get bigger over a week or so.